Learning does not happen just in a class or a single event. Learning is a journey. An effective learning is supported by various steps. I called it the "Learning Journey". This learning journey includes eight essential steps. I shared the first step "Prepare Me to Learn" in details in my previous post. Click here to check it out. 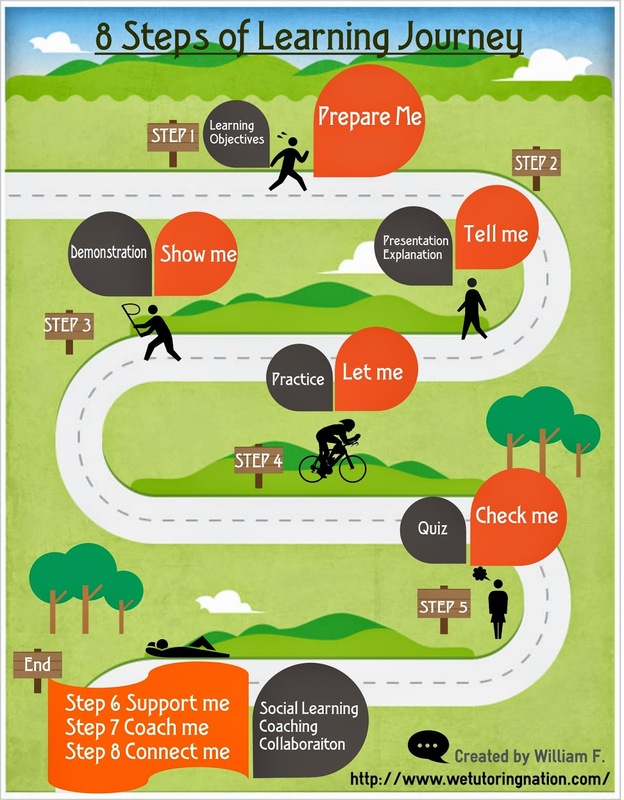 I created this infographic below to show what the "Learning Journey" looks like for a learner. This applies to all subject matters. This is what I use to create my lesson plans, e-learning courses and instructor-led classes. Feel free to download this infographic and share with other educators. I'll share more details about each step in the future posts, so stay tuned!